Outside the Box: Fancy Folds! We have another Colour challenge started today at the Outlawz and this one was chosen by the ubber talented Ina! Ina would like you to make a shaped card or use a fancy fold to make your card using this colour palette. 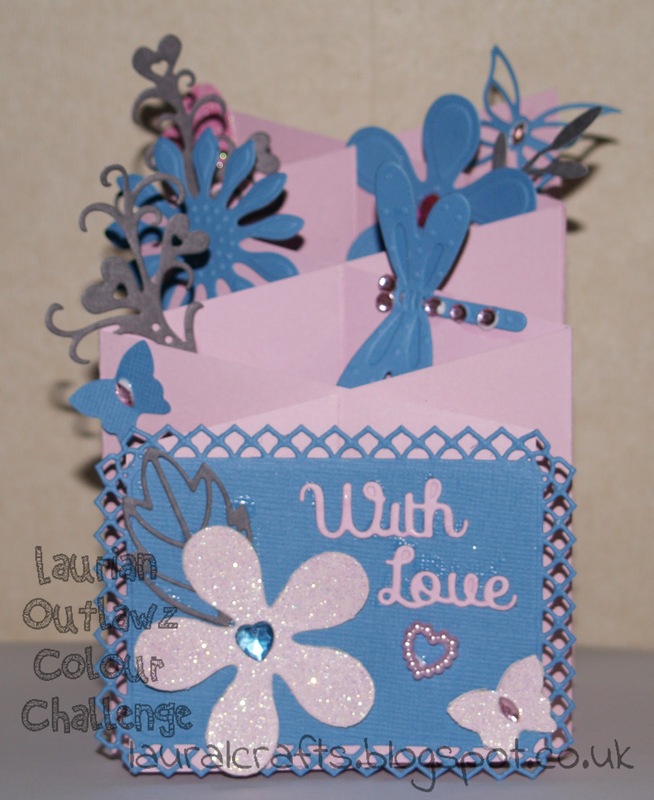 I had just received a box of lush card from Kanban and the blue was perfect for this challenge and one of the craft mags had a freebie with it of a pad of Bo Bunni paper and the majority were in pink and grey so the perfect combination! I finished the card off with the super cute ballerina from All Dressed Up who are our sponsors for this month. so why not come over and play with us this week and try something new! Fabulous card! LOVE IT!! Thanks for sharing with us at All Dressed Up challenges. 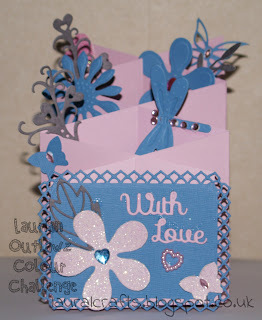 I love everything about your card Laurian!